FRIDAY, Dec. 22, 2017 (HealthDay News) -- A hectic holiday pace not only tires you out, it makes it easier to pick up an infection. Reducing stress, getting enough sleep and healthy eating are among the things you can do to stay healthy if you're traveling over the holidays, one expert suggests. Stress levels can rise at this time of year, so it's important to acknowledge and manage your anxiety, said Dr. James Riddell, an infectious disease specialist at the University of Michigan. "When stress hormones are produced, that leads to a decrease in your immune system's ability to fight off various infections. It also contributes to a pro-inflammatory state, which isn't healthy," he said in a university news release. Be sure to get enough sleep -- at least seven hours a night. "Poor sleep hygiene can have an effect on immune function through increased stress hormones, which can increase susceptibility to contracting viruses," Riddell explained. A balanced, healthy diet can do more for your immune system than taking vitamins, he added. "A multivitamin is probably a good idea, but I counsel against taking excessive vitamin regimens where you're taking 10 times the recommended daily amount," Riddell said. Good hygiene is also important. Germs lurk on many things people touch each day, such as elevator buttons or the office coffee maker. Wash your hands regularly and avoid touching your face. If you're traveling by train or bus, try to avoid passengers who appear ill. 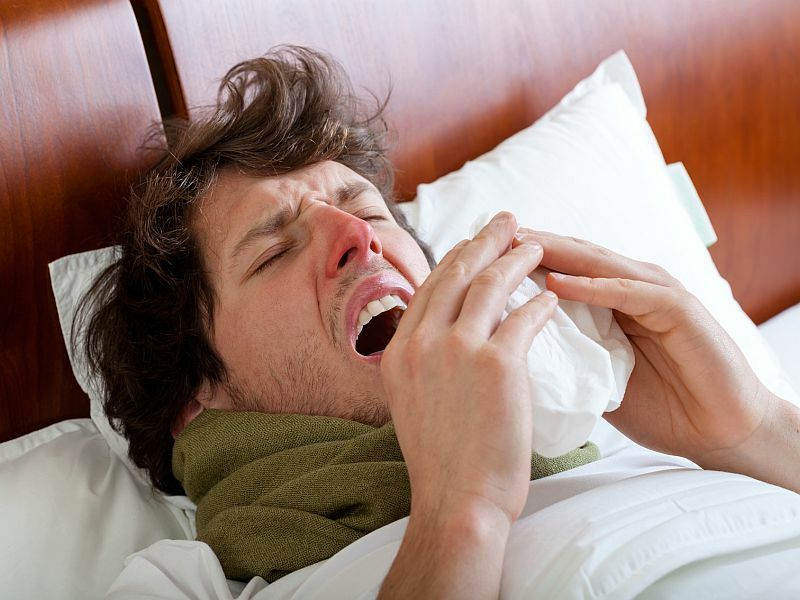 If, despite these precautions, you do get sick over the holidays, it's best to curtail your schedule. "Listen to what your body is telling you," Riddell said. But if you are socializing, avoid shaking hands, and hugging and kissing others. Don't share items such as towels or drinking glasses. The goal is "to reduce your germ 'footprint,' " Riddell explained.